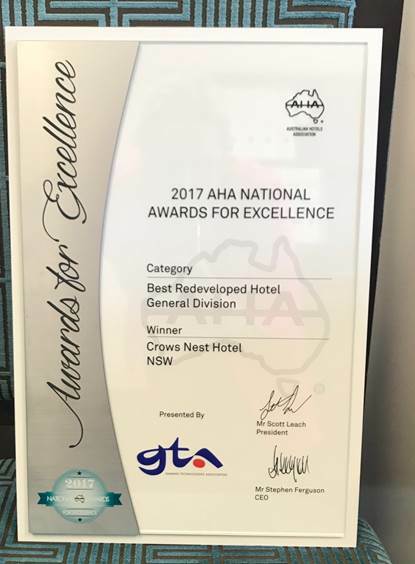 Fantastic news received this week when one of our Sydney projects, the Crows Nest Hotel received the National Award for Best Redeveloped Hotel from the Australian Hotels Association. After winning the NSW AHA award last year, The Crowie has capped off its achievements by winning the award at the recent awards held on the Gold Coast. The hotel is extremely popular with Sydney siders and you should check out the hotel’s website to view all the goings on that occur there.